“The Long Kiss Goodnight” is a cinematic comic book, a series of biff!-BAM!-whack! action episodes, all more or less impossible, surrounding the larger-than-life characters. I liked it in the same way I might like an arcade game: It holds your attention until you run out of quarters, and then you wander away without giving it another thought. Geena Davis, a good sport if ever there was one, stars as a woman who thinks she's a soccer mom named Samantha when actually she's a trained government assassin named Charly. She has forgotten her real identity because of “what the doctors call focal retrograde amnesia.” She leads a quiet life in a small town, even playing Mrs. Santa in the Christmas parade, until a TV broadcast and a violent car wreck begin to bring back her past. Certainly it's a clue to her past life when she kills a deer by breaking its neck with her bare hands. And how about the kitchen scene when Samantha chops a carrot as if she'd never seen a knife before, and suddenly Charly takes over like a human Veg-O-Matic, pulverizing vegetables and then for her encore throwing a tomato in the air and skewering it to the wall with a deftly-thrown knife. “Chefs do that,” she explains to her stunned daughter and boyfriend. 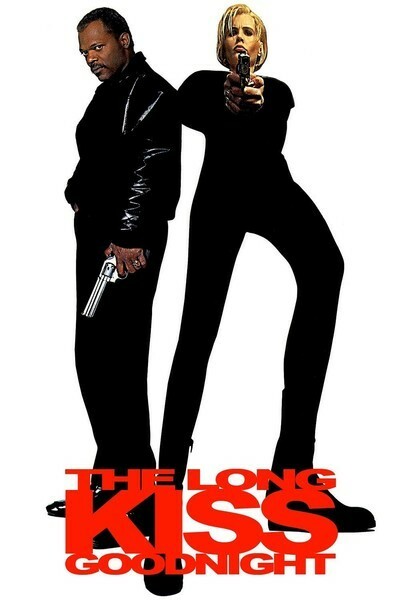 She hires a fly-by-night private eye (Samuel L. Jackson) to track down her past, and he turns up clues that lead to a full-scale war with the U.S. intelligence establishment. Without giving away too much of the plot (as if, heh, heh, there was much of a plot), I'll say that bad guys think she was dead and now want to kill her, and she has to defend herself while having flashbacks to violent episodes in her past life. The movie is put together like a Top 40 radio station, in which you get 10 minutes of hits and then have to listen to somebody talking for 90 seconds. The dialogue serves only to separate and set up the action scenes. Sooner or later they're actually going to advertise one of these movies with the line, “less talk and more action!” It's the kind of film where when the mother undergoes a personality change and decides she does love her little daughter after all, she shouts that information--”I LOVE HER!”--over the noise of battle. Leave out those three words, and the movie's central human dilemma would be misplaced. Geena Davis has gone on the talk shows to explain that she personally performed all, or most, or many, of her stunts in the movie. For example, that's really her being blown out of a window and flying through the air. My message is: Geena, give yourself a break. I looked really closely as you were blown out the window, and it all happened so fast that I couldn't even be sure it was you--so why not let a stunt woman do it? That's what they're paid for. The explosion scene allowed me to enjoy one more example of the latest way in which action movies suspend the laws of physics. Davis and Jackson actually outrun a flaming fireball that chases them down a corridor. I've seen that done in a lot of movies lately, and I've got news for them: It can't be done. (It also cannot be done on a motorcycle, although Keanu Reeves does it in “Chain Reaction,” or in the Chunnel, although Tom Cruise does it in “Mission: Impossible.”) The movie is Hitchcockian in its use of famous locations. The climax involves a truck bomb that is supposed to blow up the bridge at Niagara Falls, and at one point Samantha/Charly actually uses a dead body as a counterweight to lift her into the sky so she can shoot it out with a helicopter under the “Welcome to Canada” arch. Yep. And wouldn't you know that when the truck explodes, Jackson and Davis get to outrun another fireball, this time in a car, although that can't be done, either. Anyway, Geena Davis and Samuel L. Jackson prove they're game in this movie, as they trade quips in the breaks between special effects sequences. And the action is what we expect: sensational, violent and loud. The target audience is apparently 14-year-old boys and those who have not forgotten how to think like 14-year-old boys, a group that apparently includes millions of filmgoers who like to see stuff blowed up real good. I admired it as an example of craftsmanship, but what a lot of time and money to spend on something of no real substance.